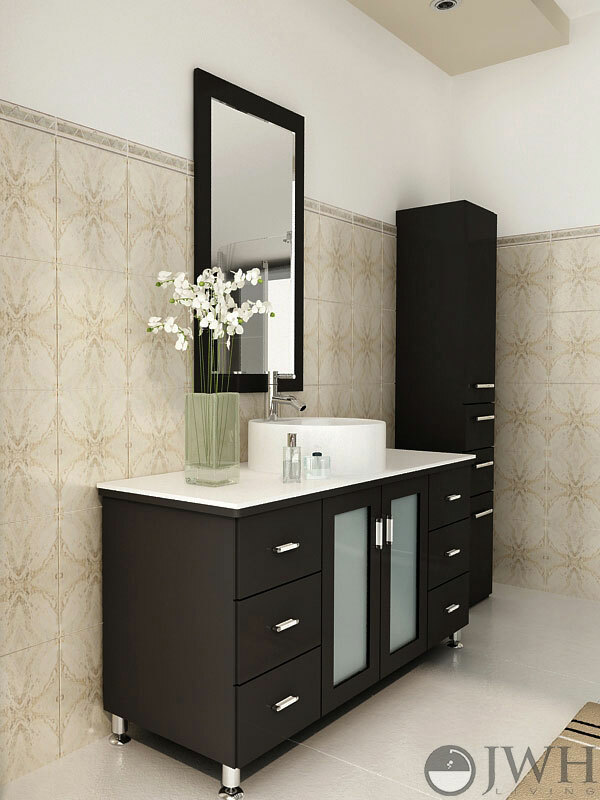 This beautiful modern vanity is a wonderful example of modern simplicity and sophistication. 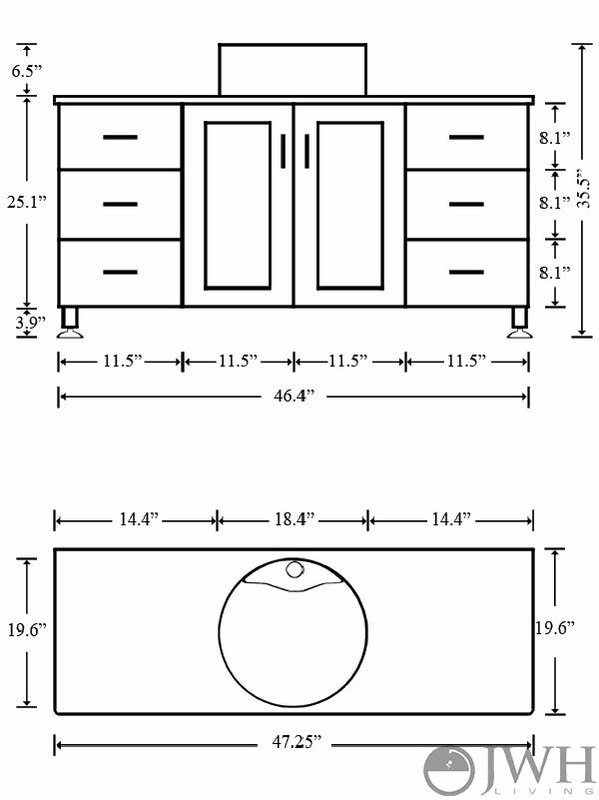 The vanity cabinet system features six sliding drawers with soft-close technology, and a spacious primary cabinet that will provide more than enough space for all your storage needs. 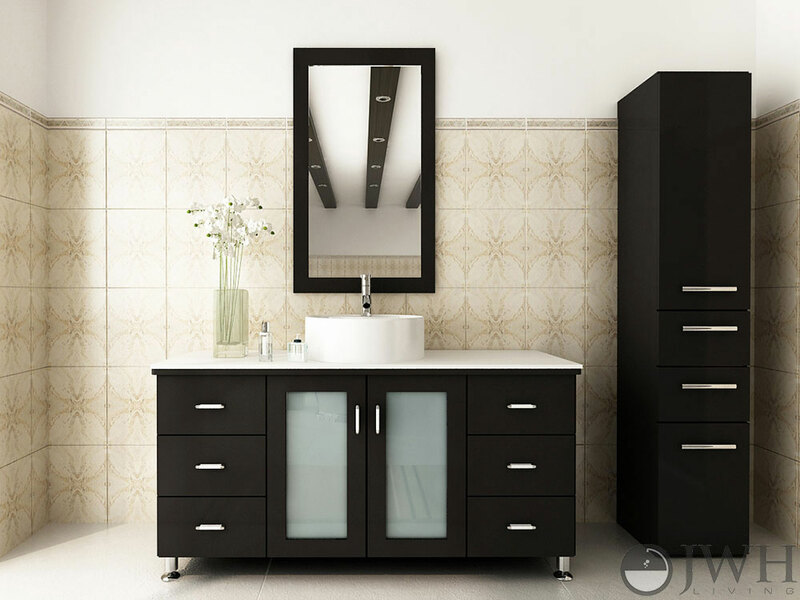 The primary cabinet features stunning frosted glass panels that truly complement the innate beauty of the vanity, and brushed metal handles serve as suitably elegant accents. 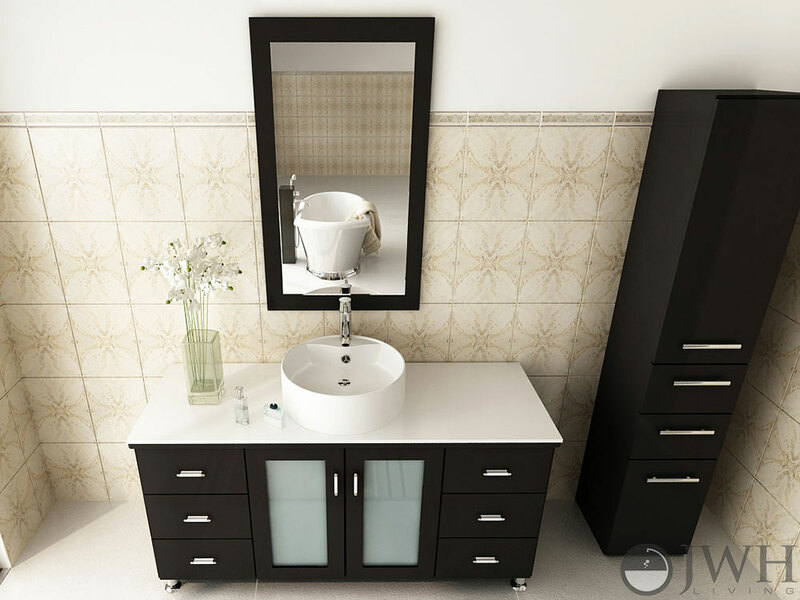 The sleek white microlite countertop provides plenty of space for your soaps and other bathroom accoutrements, and it also supports a large surface-mounted ceramic vessel sink basin. 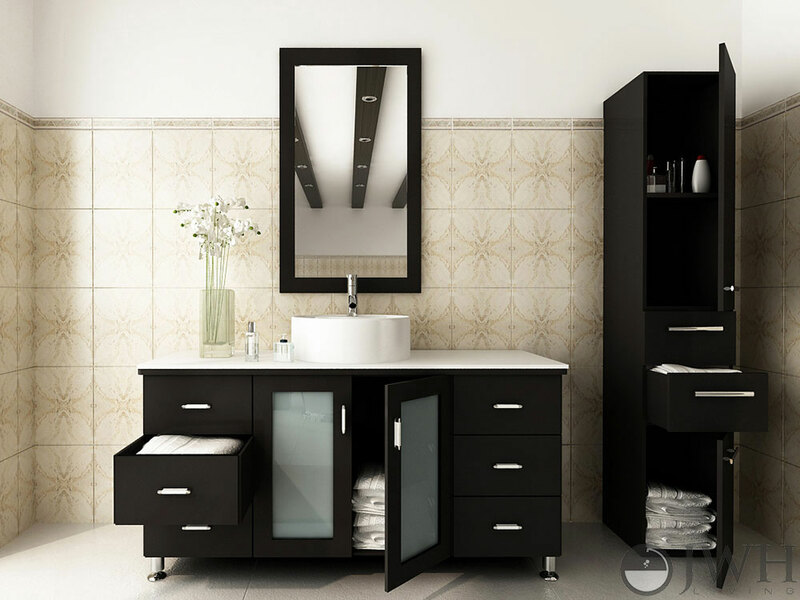 You can complete this vanity with any of our available modern faucets and vanity mirrors, to truly complete your modern bathroom design.